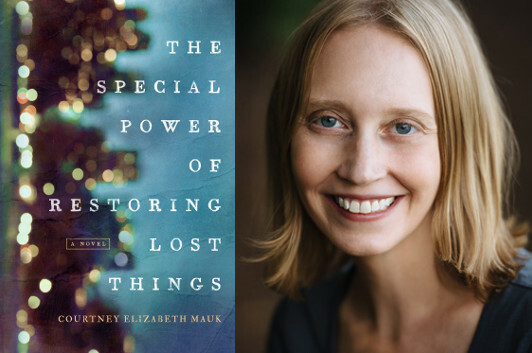 Courtney Elizabeth Mauk’s new novel, The Special Power of Restoring Lost Things, introduces us to a family in pain: a mother, father, and son all struggling to cope with the disappearance of their daughter (older sister) Jennifer nearly a year ago. Rapidly moving from one perspective to the next within the story’s tight time frame, Mauk shows us how the three survivors are pushing themselves away from each other—recognizing that that’s what they’re doing but at the same time unable (or perhaps unwilling) to make the necessary course corrections. 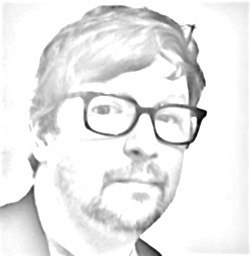 Here, Mauk explains how a novel about a family grew out of a short story about a mother… and how she was able to manage the sudden shift in scale. One value I most want to instill in my son is empathy. I hope he grows into a man capable of looking at the world from perspectives not his own, that he develops the capacity to feel the full spectrum of emotions, strives for understanding, and acts with compassion. These are also the reasons why I write. I wouldn’t always have been able to define my writing this way, as an act of empathy, or an attempt to move the world, in some small way, in a more empathetic direction. I would have talked about the storytelling compulsion, a love of words that started in childhood, an urge to create something lasting. And all these things are true too. But at the heart of the matter is feeling. I write because I want to open up human experience, for myself as well as my readers. This has never been more the case than in The Special Power of Restoring Lost Things. The book began as a short story about the mother of a young woman who has gone missing. I’ve long had a fascination with the missing; it seems confounding that a person can be here and then gone, leaving few traces, especially in this traceable age. I am intrigued by the mystery of the disappeared but even more so by those left behind, grappling for answers in a suddenly altered world. A pivotal scene in the story (which didn’t make the cut to the book) has the mother riding the Staten Island Ferry over and over, held in a literal stasis. I had a vision of her dragging this heavy weight—an indescribable grief with nowhere to land. When I submitted the story to my writing group, I was happy with some aspects but had the sense there was more to tell. My group agreed and pressed me to turn the story into a novel, something I wasn’t sure I wanted to take on. I’d just finished my second novel and felt emotionally wrung out. Diving deeper into this story would require entering into unknown territory, full of even heavier emotion, but I quickly realized that those were the reasons it was a story that needed to be told. So the story became a novel and soon a family affair. I couldn’t write about the mother, Carol, without also writing about her husband, Drew, and their son, Ben. In order to give them each a voice, I took on a narrative structure that was challenging for me. I wrote my first two novels in first-person, from the perspective of a single narrator, but I needed to do something different here: three distinct perspectives, three stories in one. I chose to use third-person, for clarity’s sake and to create the distance necessary to examine each character fully, from inside and out. At first I tried writing straight on, going back and forth between points of view, and it was a mess. I wasn’t falling into the writing process; I wasn’t losing myself in the story. I didn’t know why, since this was a story I felt passionate about telling. In many ways, it felt more important than what I had written before and yet I couldn’t find my flow. Finally I decided to try writing each character’s story separately. I made plot outlines, which I taped above my desk, to keep me on track and remind me of how Carol, Drew, and Ben’s stories needed to intersect. Then I launched into writing Carol. I was able to lose myself in her creation, without worrying about the inner workings of Drew or Ben. When I had finished her, I moved on to Drew, then Ben. And in this way, the stories took flesh. When I was done, I put them together and found that the parts made a whole. I am grateful that I found my way in. While writing this book, I formed a deeply empathetic connection with this family. I learned a lot about grief, pain, and loss. I also learned about hope, redemption, and love. It wasn’t always easy, but it shouldn’t have been. I hope my readers—including my son someday—feel these things too.